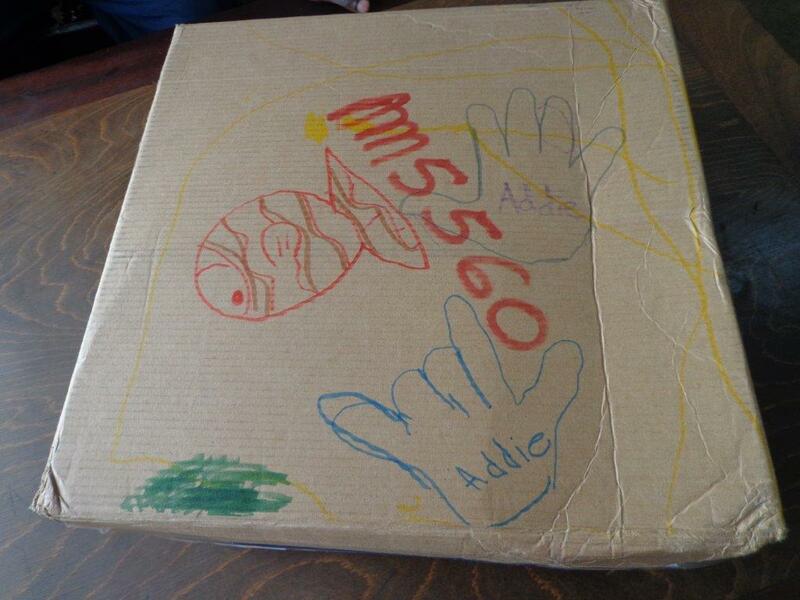 Colored on top of the box waiting for me at Posta Uganda was the purple outline of two tiny hands labeled with “Addie’s” name. Hmm, one hand looked different. Wait, she used sign language to tell me she loves me. Awe, I miss that little one. One year out of a three-year-old's life is a LOT. I spied a fish swimming across the top of that box too, and I’m thinking he was the work of Lucah. Hmm, what might I find on the reverse side of the box? A picture of what could be me or what could be Noah. Blond hair, blue eyes, and a purple shirt. Adorable. While it’s pretty stupid how much the US Post Office makes you pay for such a box, I have to admit it was worth every penny (coming from the one who did not have to pay for it). While I gushed over the drawing on the outside of the box, the customs agent didn’t even bother to check inside. Now we know the secret. 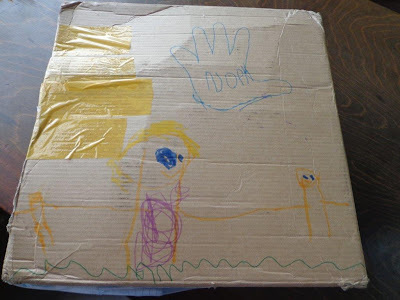 Send boxes with child-drawn pictures and have gushy grandmas pick them up so as to avoid inspection. The inside of that box contained three “we miss you” cards (sniffle) colored by the three box decorators and some personal surprises. Becky knew exactly what to get me. Peanut Butter, trail mix, and blue nail polish. So thoughtful, truly,…she reminds me of her father. The real reason for the box was to send along some gifts for the children at The Sanctuary Babies Home and to help the three grandchildren learn about giving and missions. Lucah, Noah, and Addie – you did great! 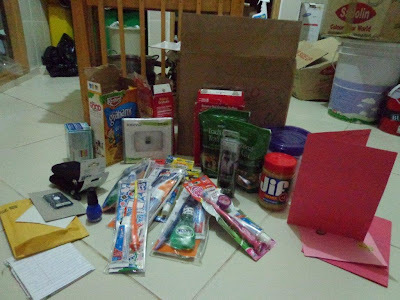 The tooth brushes and toothpastes, as well as several boxes of crayons, are so needed. The kids we are just your ages will find it hard to understand that there are three little ones half way across the world who are thinking about and praying for them. Thank you, you make me proud!